Steven Fenves was born on June 6, 1931 in Subotica, Yugoslavia, a town of 100,000 inhabitants with a Jewish population of nearly 6,000. His father, Lajos, managed a publishing house and his mother, Klári, was a graphic artist. Although they studied Serbian in school, Steven and his elder sister, Estera, spoke Hungarian and German at home. The Axis invaded Yugoslavia on April 6, 1941 and five days later Subotica fell under Hungarian occupation. On the first day of the occupation Steven’s father was forced from his office at gunpoint and his business was handed over to a non-Jew, a process referred to as “Aryanization”. Klári knitted shawls and the family had to sell all of their possessions, including Steven’s stamp collection, just to earn enough money to survive. Until May 1944 the Fenveses lived in one corner of their apartment while Hungarian officers took over the rest of the family’s home. In March 1944, Germany occupied Hungary and thus Hungarian-occupied Yugoslavia as well. In April Lajos was deported to Auschwitz. Steven, his sister, mother and maternal grandmother were forced into the ghetto in Subotica in May. On June 16, 1944 the Subotica Jews were rounded up and sent to the nearby transit camp of Bácsalmás. 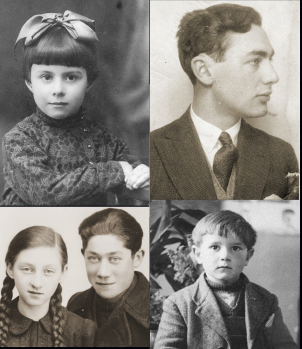 They remained for ten days before being deported to Auschwitz. After days locked in cattle cars with no food or water, they arrived in Auschwitz-Birkenau. Steven, Estera, and Klári were selected for work but Steven’s grandmother was sent to the gas chambers; Klári perished a few weeks later. The barracks were supervised by German Kapos, or overseers, and because he spoke fluent German, Steven was chosen to be an interpreter. Eventually Polish political prisoners took over the supervision of the barracks. One of them made Steven his interpreter and, with his knowledge of Serbian, Steven quickly became fluent in Polish. He became part of the Birkenau resistance, working on a roof repair detail that went from compound to compound, smuggling lists of prisoners and trading black market goods. He met his sister and was able to bring her a scarf and sweater, bartered on the black market, before she was sent on a transport to another camp. In October 1944, Steven was smuggled out on a transport to Niederorschel, a satellite camp of Buchenwald, where he spent nearly six months working on the assembly line in a Junkers aircraft factory. On the night of April 1-2, 1945, the inmates were led out on a death march; they entered Buchenwald late on April 10. After being herded into one of the barracks, Steven went to sleep. The next morning the camp was liberated by American soldiers from the 6th Armored Division. Steven returned home to Yugoslavia where he was reunited with his father and sister, but his father died a few months later. Steven returned to school where he was forced to join a communist youth organization or risk expulsion. He and Estera decided to leave Yugoslavia and in 1947 they escaped to Paris. After three years they immigrated to the United States, settling in Chicago. Steven was drafted into the U.S. Army eighteen months later. After he was discharged he studied on the GI Bill, eventually earning his doctorate. Steven entered the computing field in the mid-1950s and devoted his 42-year academic career, at the University of Illinois and later at Carnegie Mellon University in Pittsburgh, PA, to the development of computer concepts and tools for civil engineers. Steven retired in 2009. He and his wife, Norma, live in Rockville, MD. 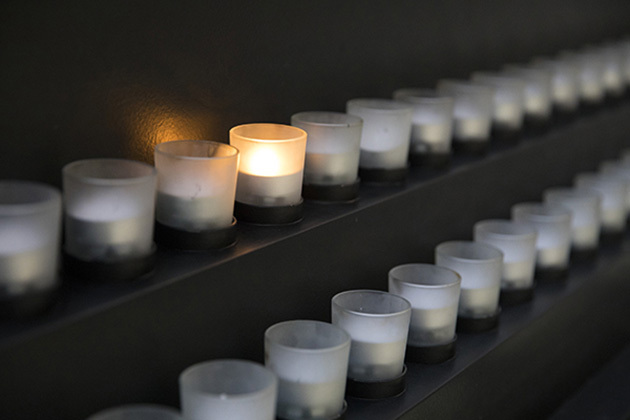 Steven is a volunteer at the United States Holocaust Memorial Museum.